Are you sick of paying Online Travel Agents (OTAs) upwards of 25% for making reservations at your hotel? Looking for ways to drive more direct bookings online? Here are 3 ways your hotel can better compete against OTAs to drive more revenue through direct bookings. 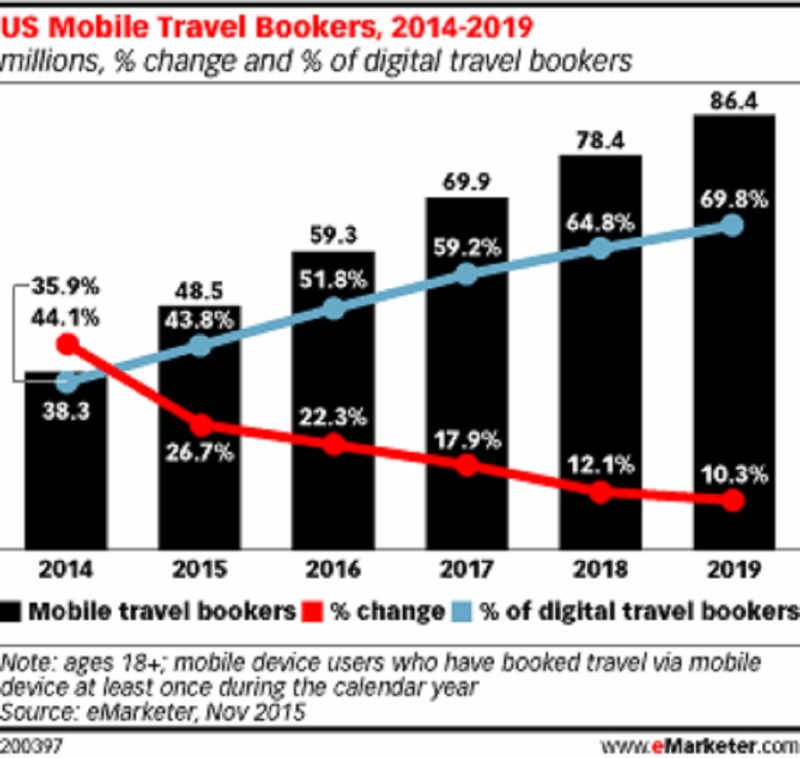 In 2016, 51.8% of travelers who book trips via digital means will do so using a mobile device says eMarketer. By 2019, they say that number is set to hit 69.8%! If your hotel’s website isn’t Mobile-Friendly then you can’t complain that OTAs are taking your revenue. Potential guests fully expect that they can browse hotels and complete reservations without sitting down at a computer. In fact, today’s consumers have turned to mobile so much so that search engines like Google and Bing are actually penalizing websites that aren’t Mobile-Friendly. Not sure if your site is Mobile-Friendly? You can check here. If your website isn’t Mobile-Friendly, all isn’t lost. Connect with a web developer to update your website and get an online booking system integrated into your Property Management System (PMS) ASAP! Seriously, stop reading this and get on it! Sirvoy, a cloud-based online booking system would be a great place to start. 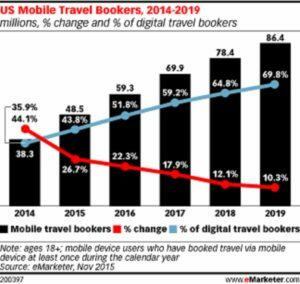 If you have a Mobile-Friendly website, and you’re still not driving enough direct bookings, read on. Hurray! So, you have a website that looks cool, functions well on all devices, and bookings seamlessly integrate into your PMS. Congratulations, you’ve completed about 25% of the work need to compete with Global OTAs. The biggest advantage they have over you is an entire herd of SEO dudes & dudettes optimizing their performance. I kid you not, there are hundreds of people sitting in a room trying to figure out how to get their website on the top of the Google/Bing/Yahoo search results for “Best hotel in (your city)” or “Cheapest hotel in (your city)”. To combat this, you need to get on the phone with an SEO/SEM (Search Engine Marketing) firm right now. We’ve had great success working with Two Six Digital in the past and can’t recommend them enough. They can walk you through the ins and outs of making sure that your website is optimized for the way search engines display results. Their number one goal is to ensure that you’re performing well in your online target markets. Being first ranked for a search, or even showing up on the first page of results, isn’t something that happens overnight. Nor is your SEO totally dependent on your website. There are many other digital channels that impact your SEO performance and you’ll need to evaluate your entire Digital Strategy to ensure you’re managing them properly. Email me at John@StockiExchange.com to set up a meeting. We can design a tailored Digital Strategy that works for your hotel! In the meantime, look into creating SEM ads to ensure you’re showing up high in search results while you wait for the SEO tactics you implemented to begin working. Additionally, ensure your appropriately managing your online reputation on sites like TripAdvisor and Yelp. Here are 6 tips you should definitely check out. Now that you’ve made sure your website is Mobile-Friendly and performing well in search results, you have to make sure you’re actually offering a competitive price. If I’m comparing rates for your hotel, and find a better price on a site like Expedia than what you’ve advertised on your website, will you honor the lower rate? If not, it’s time to start! 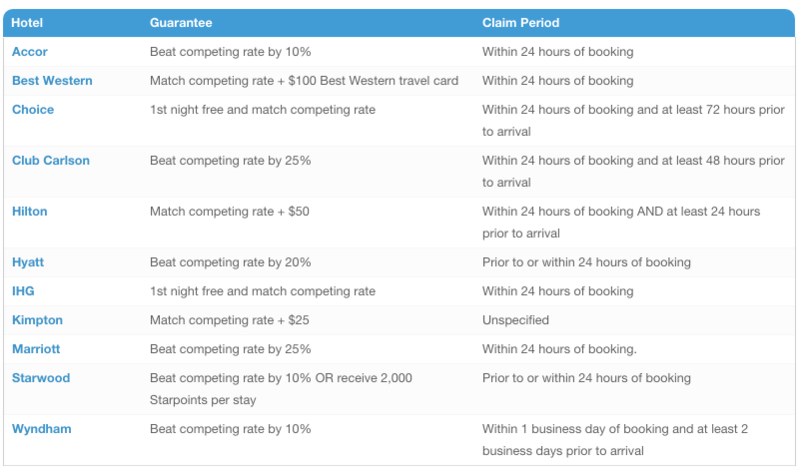 This is called a Best Rate Guarantee (BRG) and without it, you’re proactively giving money away to OTAs. How so? Huge commissions of up to 25% for starters. Furthermore, you’re conditioning guests to feel like it’s easier to book through them than through you directly, where your margins are much higher. The key to successfully implementing a BRG is to ensure that you’re not making guests to jump through hoops to get it. Give your staff the authority to capture business that’s sitting in the palms of their hands. No red tape! It will go a long way in ensuring that your guests are happy with the customer service and accommodations that you provide. Not sure you’re ready to jump in? Here is what the BRGs of a few prominent hotel brands look like. This information was accumulated by The Points Guy in 2014 and may have changed, but does a great job of illustrating your options nonetheless. OTAs have become stronger, larger, and more agile over the past decade. They continue to leverage ever-expanding networks and a powerful web presence to negotiate higher and higher commissions. Investing in your own digital marketing is the only way to compete. Will it take time, money, and a change in your digital strategy? Yes, absolutely. Will it be uncomfortable? Probably. But today is the day you need to take a step back, evaluate your Inventory Management Strategy and actively try to reduce your dependency on OTA bookings. Your margins depend on it! If you’re ready to put these tips into action, send me an email and we can setup a time to come up with a plan for your property. Don’t hesitate to reach out to me through my website if you would prefer to connect via email as well. » Born and educated in the United States, John Stocki launched his career on a global scale working in Australia, United Arab Emirates, China and the US, as well as traveling and training in over 30 countries. He brings a straight-forward approach, laced with direct personal experience, to his special style of training which is what makes his company – Stocki Exchange – so distinctive. Founded in 2012, the Stocki Exchange enables John to travel throughout the US and abroad helping others to grow their businesses through innovation and inspiration. John is also a contributing writer to The Huffington Post.